*Fearsome Avengers Logo created using Heroes Assemble Academy Italic font. Art by Plot Points blooger Jayson Jolin. 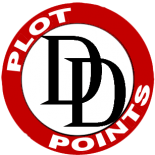 Datafiles are a mix of original Plot Points creations and material from published Datafiles by MWP. …and prepare yourselves for an action-packed and terrifying descent into the Raft, the supermax prison for the most vile and insane super criminals mankind has ever produced. And we couldn’t have plunged into the depths of this ultra-modern dungeon at a worse time; due to an unforseen catastrophe the denizens of the Raft have broken free of their bonds and cells, and are running amok in the prison. They are working their way to the surface in search of their freedom, much to the doom of the unsuspecting public. But don’t despair, dear reader, because although the original Avengers have disbanded and the X-Men are in disarray, there are still heroes in the world ready to answer the call! And these are no ordinary heroes. No sir! The men and women assembled here today have all overcome great and terrifying obstacles and emerged stronger than before, some of them having literally been to hell and back in the pursuit of the good and just. So stand firm and face the rising darkness as we watch the most frightening of villains face off against the Fearsome Avengers! Read Fearsome Avengers – Breakout! This is sensational and you guys are amazing – I had a blast reading your write-up, and it looked like colossal fun to play! I do like the system you used towards the end, of everyone posting and then the Watcher resolving all actions simultaneously. I’ve been trying to get a Marvel play-by-post game together for a while now and I think that may have been the missing link! This read was fantastic – thanks for posting! If you ever need a replacement player, please let me know. Can I play Cable? I’ve been playing MHR since 2012. Im a watcher and we have an ongoing PBeM. But I never get to be a PC. I post regularly and know the system as well as any Watcher. Be happy to let you post our content too. I’m a published writer and take a lot of care to do mini-novel post write-ups. Hi guys, sorry for the late reply and thanks for the interest. At the moment we are not ready to open the game to people who are not part of the Plot Point Bullpen (although we are currently considering options and it’s due mostly to the fact that we are not hosted by a website but we’re doing it via email) but thank you for the interest! 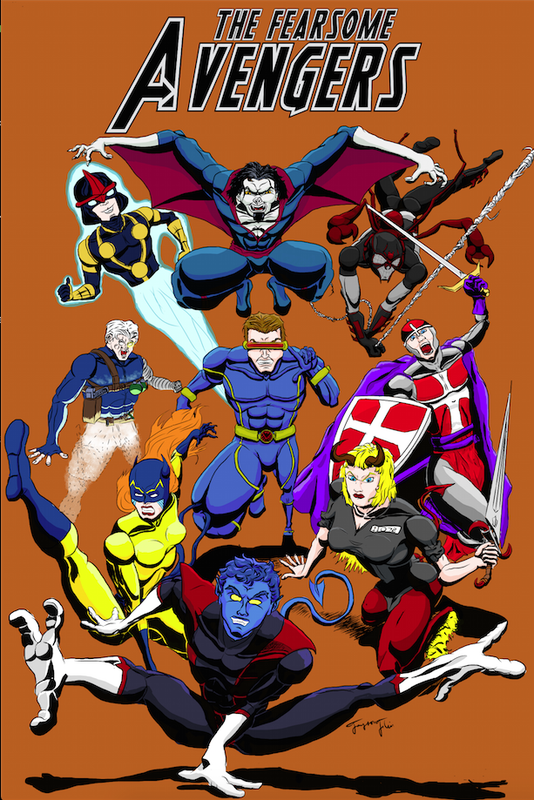 This entry was posted on December 8, 2015 by jpjolin in Actual Play, Datafiles and tagged Arach-Knight, Cable, Crusader, Cyclops, Darkchild, Fearsome Avengers, Hellcat, Morbius, Nightcrawler, Nova, Red Norvell.